IMPORTANT INFORMATION: If you have a code card number then you can input this number at the last stage of the checkout after payment is made. BIKE LOCKS: This page is for Padlock Keys only. If you require a replacement plus key for your Bike Lock then you need to find a local dealer that can do that for you. 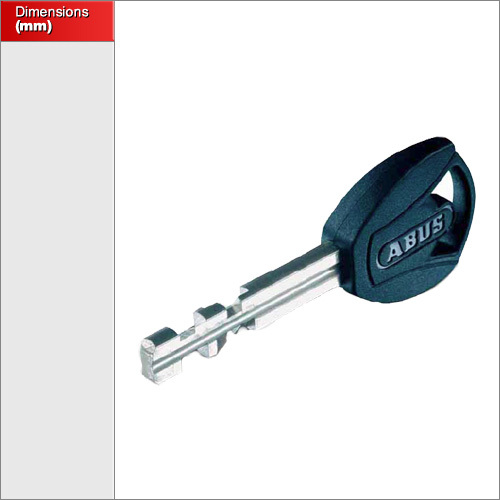 Replacement keys for locks not purchased from us can take between 5-10 working days for delivery since they will need to be cut especially by ABUS. During the chckout there is an Order Notes section. You can add details of your lock model and key number there. If you need additional Plus Keys for an order then you can order them from here. Simply add the number of keys you require and we'll cut them to suit. Remember that we can only provide additional keys for keyed alike padlocks since the standard types are in sealed packaging. We can only reproduce keys for ABUS Plus padlocks in the 36, 37 Granit series, the 20 Diskus series and the 88 & 89 Brass padlock series. 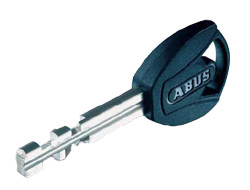 Please also note that orders for replacement ABUS Plus keys an take between 5-8 working days and orders containing additional ABUS Plus keys can take up to 1-2 working days to deliver depending on our order backlog.